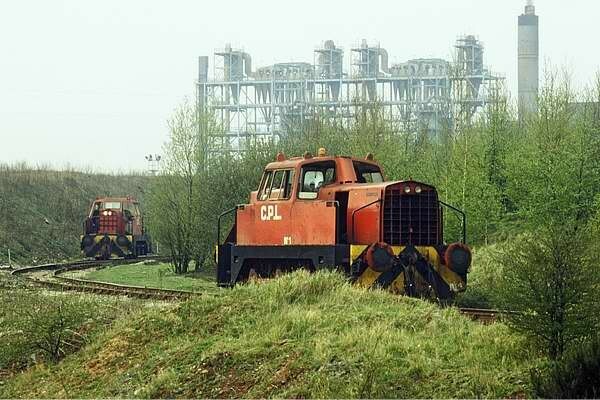 © Geoff’s Rail Diaries 2011 It doesn't seem long since industrial steam was on its last legs (wheels?) - today, active industrial locos of any type are a rarity. They were becoming pretty scarce back in 1993, when we had this little trip out. 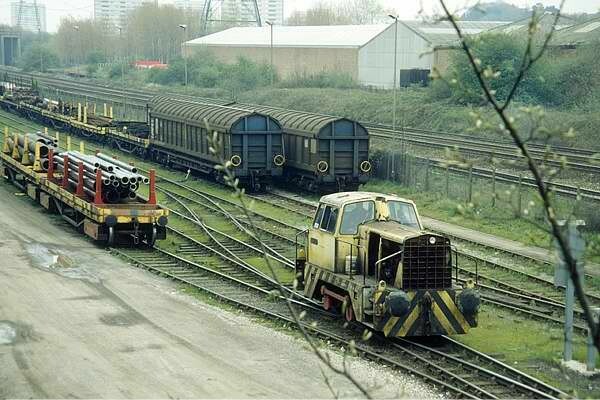 There were several locomotives at British Steel's Bromford works, just north of Washwood Heath yard in Birmingham, which used to be clearly visible from passing trains. 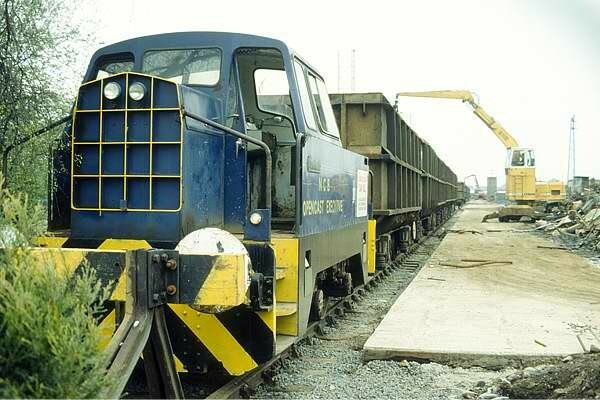 We were fortunate to see S10098 of 1962 shunting around with some internal user wagons; the works closed not long after our visit. 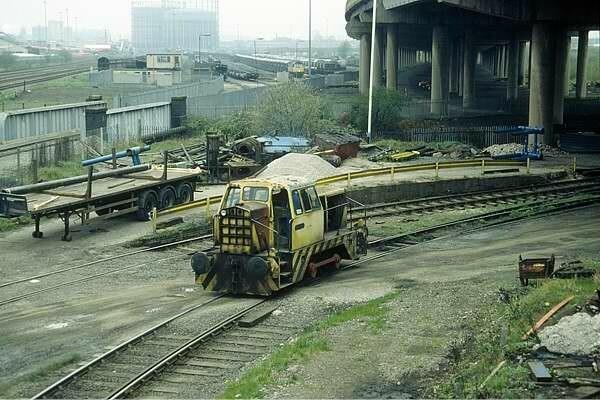 Another location clearly visible from the same main line was Cohen's scrap yard at Kingsbury. 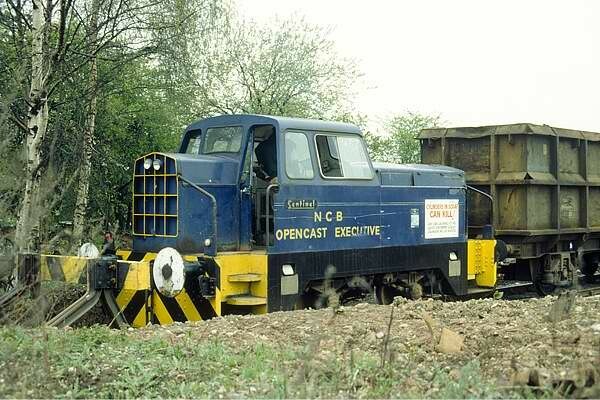 Again, here we found another Sentinel in use - 10059 of 1961, ex-NCB Opencast Executive. Locomotives are still used here, although 10059 (if it's still there) is out of use. The third industrial location for this trip was the Home Fire plant at Keresley, Coventry. 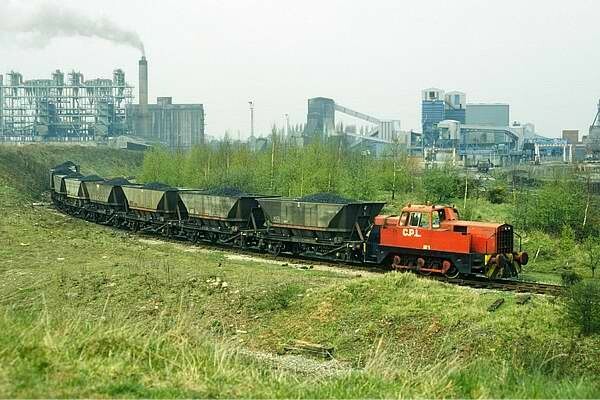 Two members of the fleet were in action for us here - CPL No.1 - Rolls-Royce* 10239 of 1965, seen with the coal hoppers, and its close relative CPL No.3, S10150 of 1963. 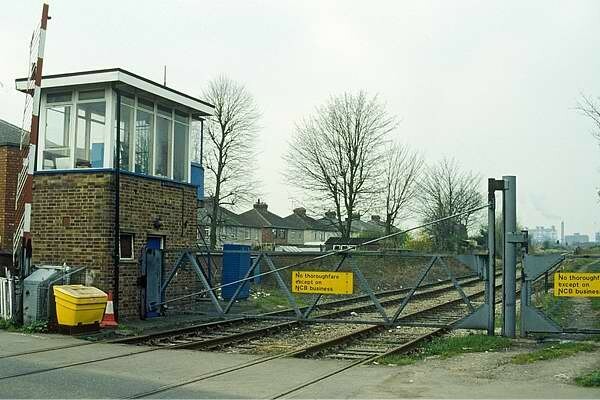 Also illustrated, a little way down the line, is the level crossing and box, which my colleague on that occasion insisted was the only surviving industrial box. 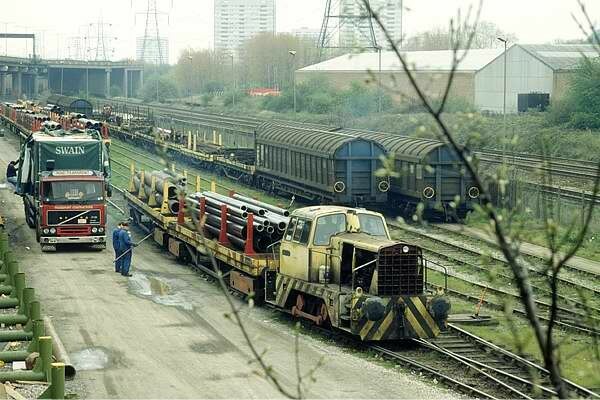 Like the works at Bromford, the works has long-since closed and the site cleared. I seem to recall that, on leaving Keresley, we found ourselves lunch at a convenient pub, then wandered off towards the main line at Harbury cutting - but those pictures will have to wait... *Rolls-Royce owned the Sentinel business and works in Shrewsbury from 1956, switched from steam to diesel locomotive production, and from the mid-60s manufactured the locomotives under their own name.